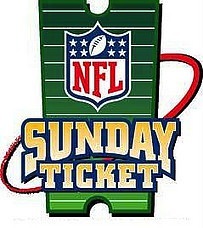 This morning Sony announced that for the second year in a row, their PlayStation3 system can be used to stream the NFL Sunday Ticket from DirecTV. The bad news, those who don’t have the NFL Sunday Ticket Max plan will once again have to pay $300 if they want access to the games. Even those with the Max plan won’t be able to stream all the games, as only out-of-market matchups will be available. Sony said that unlike last year, where customers could pay over a 3-4 month period, this year the $299.995 needs to be paid all at once to make it “easier” for them to manage. While it’s great to see more content available via devices like the PS3, charging $300 really is way too expensive, let alone charging it all upfront. Considering MLB.TV is a third of that cost, and gives you access to thousands of games over the course of the year, DirecTV should make this more affordable. I’m sure there are a lot of people like myself who don’t want a dish on their roof, can’t have one installed and would be willing to pay about $150 a year to get access to the games. But at $300, it almost as if DirecTV doesn’t want people to sign up for it. Last year, there were also quite a few issues with the system, most notably being the fact that while you could pause a game, if you un-paused it after the game had ended, it wouldn’t pick up where you left off but would give you a message telling you the game had ended. I hope they have fixed that along with how much the streams lag delay wise. Also, it seemed like a lot of times, the quality of the video was not in HD and was simply a SD feed being stretched, which is not what you should be getting for a $300 service. It’s hard to find specs on DirecTV’s website saying exactly what the video quality specs are. So for $300, customers expect and should get a better service this year, and I hope that’s the case. I’ll see if I can test it out and do a review. How much would you be willing to pay? $150? $200?